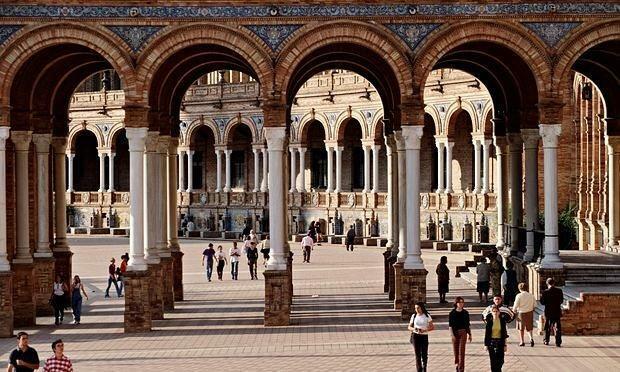 The 2015 Game of Thrones season filmed in evocative places you can tour in Spain! This is the new season 5 kingdom of Dorne. Since we live in Spain, are Game of Thrones fans + location consulted for Hollywood movies (like Ridley Scott’s the Kingdom of Heaven), we are enthralled. By request of our international clients from San Francisco to Singapore, we have created the best Game of Thrones Spain Private Luxury Tour + crystal clear English. Imagine yourself exploring the Martell’s incredible palace and amazing Water Gardens of Sunspear in beautiful Spain!… On our private luxury tours, you discover top locations from the new Kingdom of Dorne on season five of Game of Thrones in beautiful Spain with VIP service. (Season 5 of Game of Thrones debuted in April of 2015). Discover key filming locations from season five of Game of Thrones! Be enthralled by Water Gardens of Dorne in sunny Seville, one of Europe’s most beautiful cities. 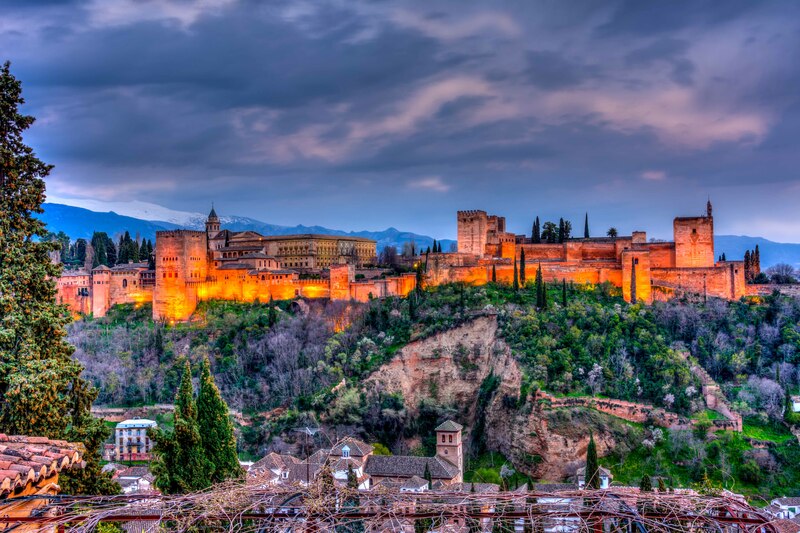 Granada, home to the Alhambra Palace Fortress and Gardens, a UNESCO World Heritage location + one of the top sites of Europe! Of course, as the USA’s Spain Luxury Travel Experts, our private Spain tours can be CUSTOMIZEDto offer more then just Game of Thrones.… Enjoy fun tapas, cheese & olive oils tastings, insight of top guides, healthy active family options, seamless American planning, luxury hotels & transfers, fine food & wines, and 24/7 customer support. Game of Thrones inspired luxury private tour + best of Madrid and Andalusia. Experience the sight of an epic battle scene filmed in a bullring. Experience Spain like modern royalty…. All travel arrangements can can be customized to fit your upscale taste and style or include other areas or other themes. Kindly note this is a Sample Spain Tour Itinerary. The next step is to contact us, we then do a free phone or email consult to better understand your needs. Note our chauffeured private luxury tours are personalized to fit your interest. Please contact us with your travel dates, group size (from 2 guests, no maximum group size), and desires and we will send you custom pricing. Pricing varies based on the number of people in your party (minimum 2 guests), specific experiences & services included, number of services included, yourdates, style of transport etc. YOU Deserve to Enjoy Spain in VIP style…. We Plan & Manage the Details that Make it Memorable. Dorne was a sovereign kingdom before the invasion of Aegon the Conqueror, and weathered his attack to remain one afterwards, the only one of the Seven Kingdoms to retain its independence. Dorne is ruled from the castle of Sunspear by House Martell. Bastardsborn in Dorne are given the surname Sand. Things from Dorne are known as “Dornish”, while the people of Dorne are properly known as the “Dornishmen“, though its people are sometimes simply referred to as “the Dornish”. Finally Dorne joined the Seven Kingdoms through peaceful marriage alliance nearly two centuries later, only one century before Robert’s Rebellion. As a result of joining through marriage and not conquest, Dorne was allowed to keep many of its local customs and laws, such as equal inheritance laws for male and female heirs. Due to these different ethnic, legal, and political factors, theDornishmen are very independently minded, with a stronger sense of “national identity” than many of the other Seven Kingdoms. Dorne is one of the nine constituent regions of the Seven Kingdoms. It is the southernmost part of the continent of Westeros, located thousands of miles from Winterfell and the North, and has a harsh desert climate. The Dornishmen are ethnically distinct from the rest of the Seven Kingdoms, being largely descended from Rhoynar refugees who intermarried with the local population of Andals and First Men roughly a thousand years ago. As a result they have very different customs and traditions compared to the other regions of Westeros.